The OBA undertakes its own honey bee health research, but also reviews and incorporates research and recommendations from other reputable sources into programs, strategies and materials to ensure beekeepers in Ontario are using the most up-to-date and effective beekeeping practices. This section provides information on current and completed research, best practice recommendations, helpful resources and learning opportunities for large and small-scale beekeepers. The ‘one-stop-shop’ for information and recommendations on best practices, resources, courses – you name it! If you need it, we have it for you here. Links to important legislation, programs and government requirements. Did you miss out on our yearly AGM? Maybe you were there but wanted to revisit a topic that was presented. Find some (not always all) of the presentations given at the yearly meetings. 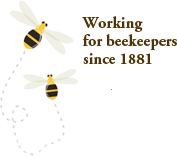 Beekeeping is a significant and important commitment. The OBA understands that new (or potential) beekeepers have special needs in terms of advice and questions. In this section we provide you with information that will help you make the early important decisions leading to positive outcomes as a beekeeper.